The naming of the RNLB James Macfee took place in August 1931. 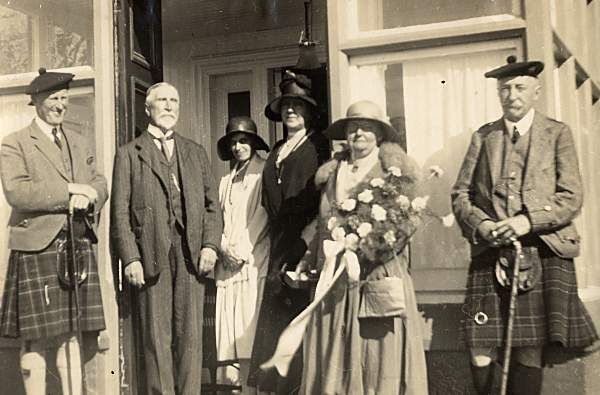 This pic shows dignitaries standing outside the old front door of the Royal Hotel. next lady not known, then Lady Ross, Miss Macfee(Namer of Lifeboat), and finally Hector? Munro of Foulis. I'll cross check this with Naming Ceremony leaflet issued at the time, which is with Plexusmedia at present.